My life improved dramatically the day Mr. G moved in. 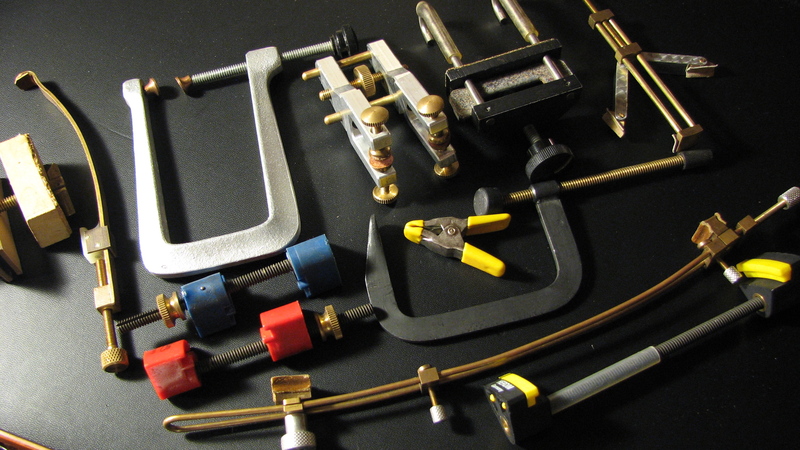 If you are a violin restorer, you probably have all the clamps required to make a violin, plus a plethora of other specialty gadgets for holding and clamping every finished part of an entirely curvaceous instrument. Multiply this by x if you work on cellos, too. 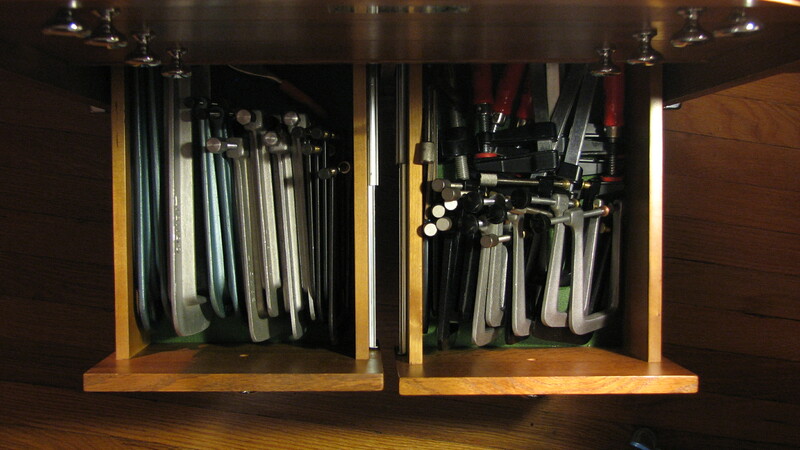 If you work on viols, you are probably smart to specialize and outfit accordingly. If you work on basses, there is no hope. 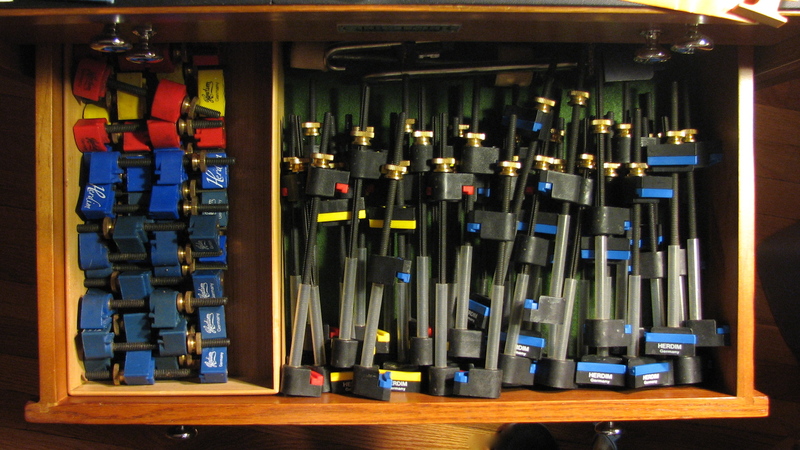 Usually the violin clamps work for violas, but the cello clamps are, of course, a lot bigger, generally used less frequently, and that much more of a pain to store. 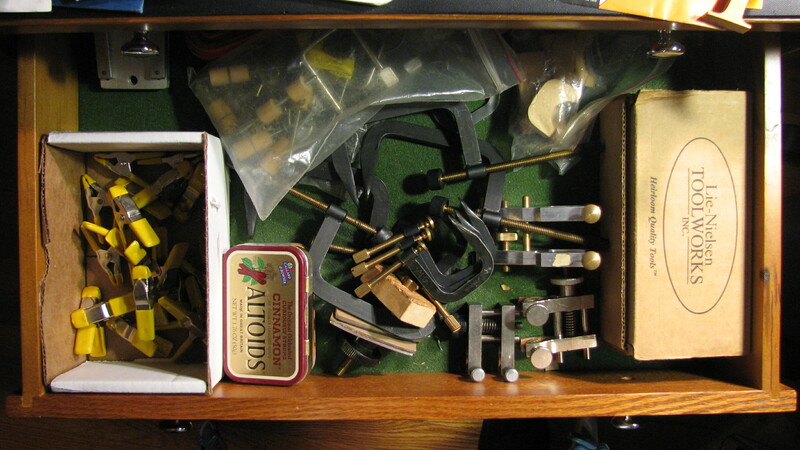 One truism of violin making/restoring seems to be that there are never enough clamps. At least that’s the way it always feels. 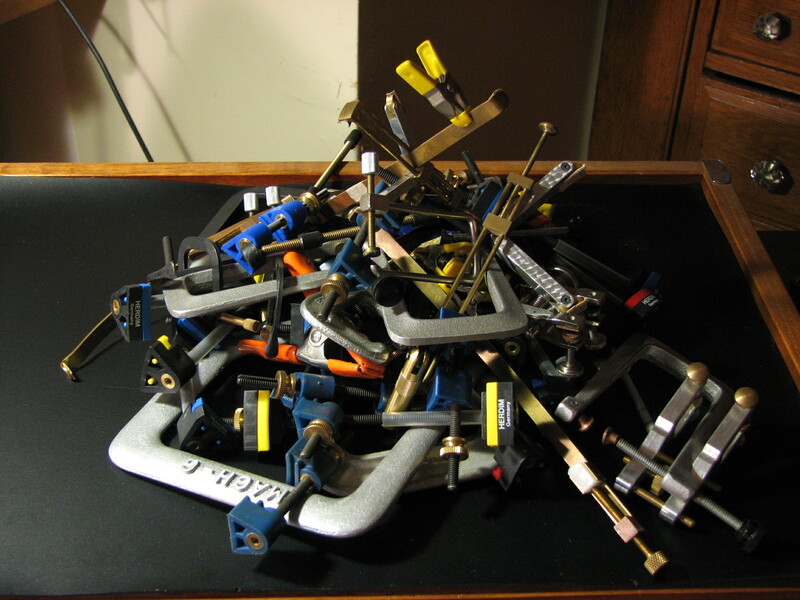 My answer to this mental state (besides buying more clamps) is to make sure that the ones I have are accessible. 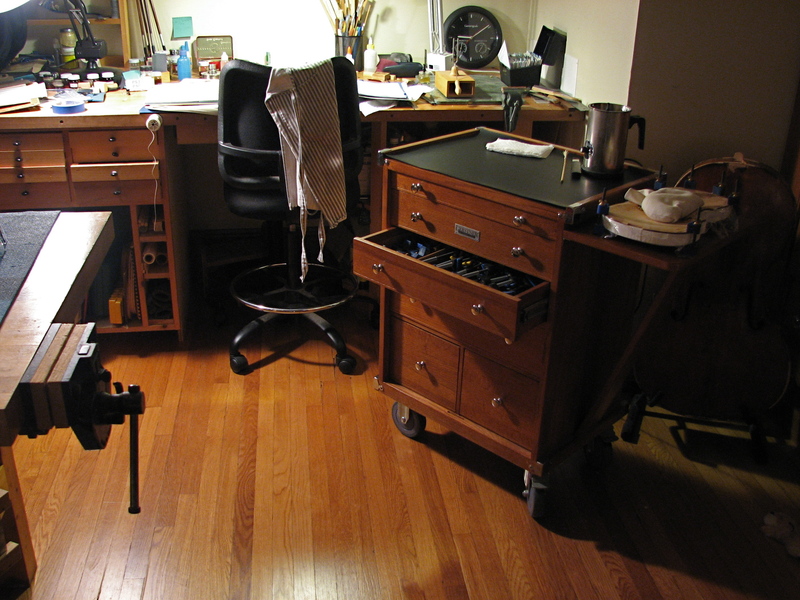 Even that thing that I use maybe once every three years. Even that thing I bought because it looked like a good idea at the time, but I still haven’t used it. If I were to put it REALLY away, I would forget that I have it, and then I would need it. 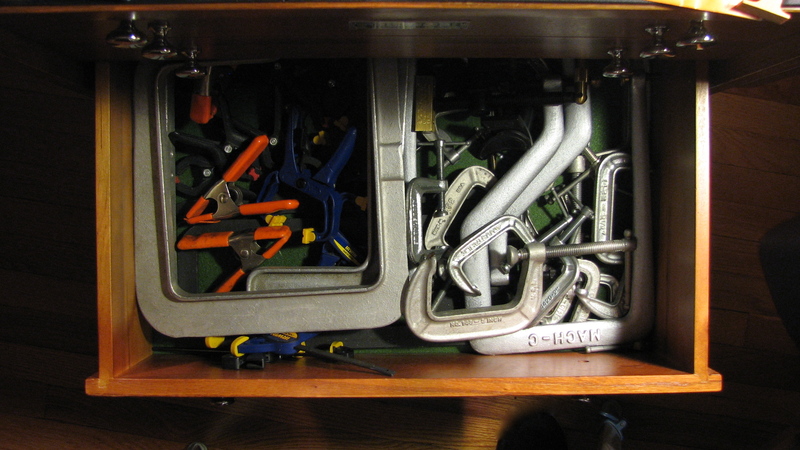 And, having forgotten all about it, I would have to suffer hearing myself whine, yet again, about not having enough clamps. 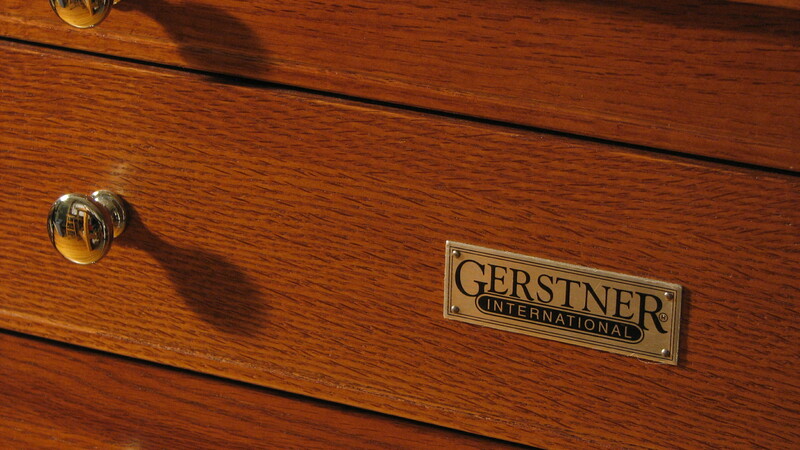 So when I saw Mr. G in a fancy woodworker’s catalog, I thought: “He ain’t cheap, but he might be worth it”! The big question was: “Are we truly a good fit”? Well, Mr. G has exceeded my expectations, so I think I’ll keep him. Yeehaaw! That just about takes care of everything. ‘Til death do us part! Did I mention he comes with wheels and is great at holding a glue pot?